More than 700,000 refugees have fled the ceaseless violence in South Sudan to seek safety in bordering Uganda. Over 287,000 of these refugees are found in Bidi Bidi, making it the largest refugee camp in the world. It is here that you find Noeleen Loughran, a missionary nurse from Ireland. She is a gift from God to the people of South Sudan. Noeleen followed God’s call and sold everything she had to move to Africa in 2013 to minister to suffering souls. She has served orphans in Kenya, farmed in Uganda, and now her ministry is to serve the hundreds of thousands of people who have found refuge at Bidi Bidi. A majority of them are teenagers and children. Her dedication, compassion, and selflessness make her a new indispensable partner with Sudan Relief Fund to bring help to those who need it most. With unbelievable dedication she makes her rounds to the sick and homebound first and, when needed, arranges for transportation to local hospitals. She makes her way to the small chapels found throughout the camp and uses them as makeshift clinics. She brings with her a suitcase full of medicine. Many days she can treat up to 400 people using the medicine from her suitcase. 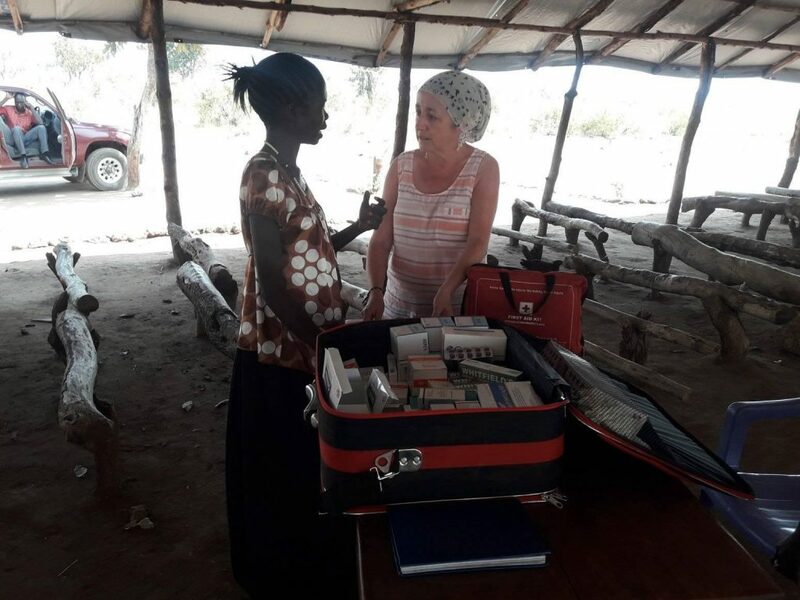 There are thousands in need, and her suitcase of medicine has been providing lifesaving treatment to the sick and injured. It is our hope, with your help, to make sure her suitcase never goes empty. 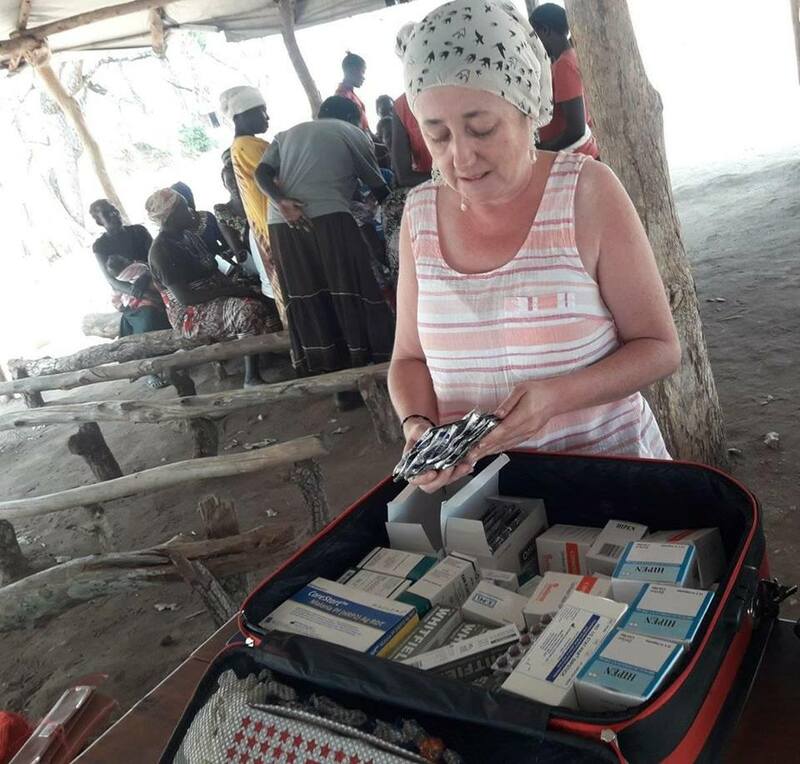 Just $280 packs Noeleen’s suitcase full of medicine, and it provides 2 days’ worth of medicine for hundreds of people. Noeleen feels the weight of the suffering every day at the Bidi Bidi refugee camp. As she makes her way through the camp, she is never without her warm smile and her suitcase—her suitcase of medicine. To thousands, it has become a suitcase of hope. For 25 cents she can treat a child for worms for 3 months, yet there are thousands of children in constant need of treatment. This and many other preventable sicknesses can be treated with your support. Without Noeleen’s tireless efforts, her nursing skills, and the medicine she provides, many would die. With so many ill, Noeleen simply cannot attend to them all without your help. We ask you to keep the hope alive at the Bidi Bidi refugee camp. Noeleen is ready to serve, but she needs you. Your donation will help keep her suitcase of medicine always full.